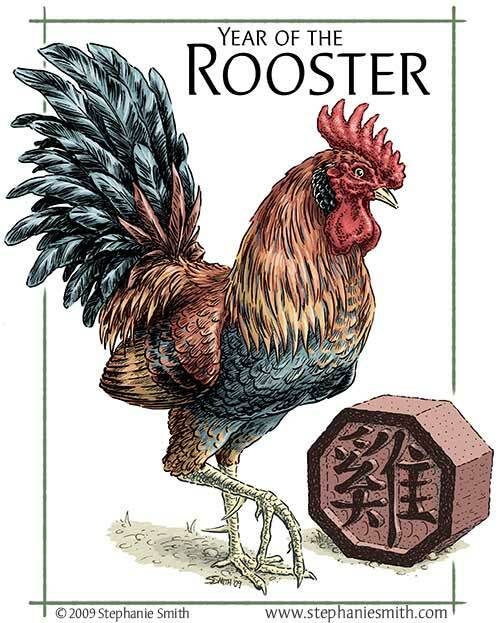 The latest in my Chinese Zodiac series, The Year of the Rooster is now available for sale at my RedBubble page, as notecards, prints, and T-shirts. 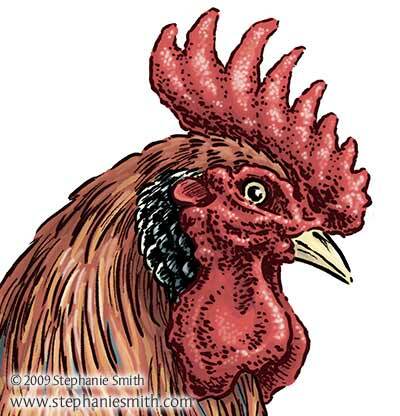 This image was drawn in ink with a brush pen and colored digitally; in the background is the Chinese character for the Rooster. He deserves a closeup, don’t you think? This colorful fellow took quite a while, but I can’t help myself. I love all the crazy details birds have. 🙂 There’s another complex drawing on my drawing board right now, but I think one of the “simpler” animals will be the next one finished. This entry was posted in animal, Astrology, bird, Finished drawings by stephanie. Bookmark the permalink.